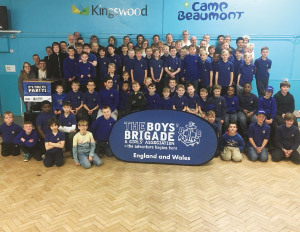 Over the weekend of the 4th and 5th of November, the region hosted over 250 members at Kingswood Staffordshire in Wolverhampton and Kingswood Peak Venture in Sheffield. 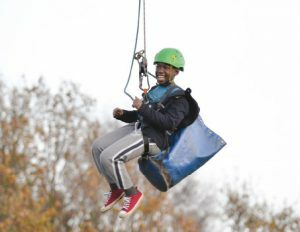 Companies from across the region attended and took part in activities such as Zip-wire, Leap of Faith, Problem solving, Nightline, Bouldering, Archery, Abseiling, Camp fire, Film night and a celebration service to commemorate the 100th year Anniversary of the Junior Section. This was the first opportunity we had had to take any of our boys away and they thoroughly enjoyed it, as did the leaders. One of our boys summed it up for me at breakfast this morning when he said, “When can we come again”. I asked him if he had enjoyed it so much and he said yes it has been great, I could see that he was sad that it was ending today. 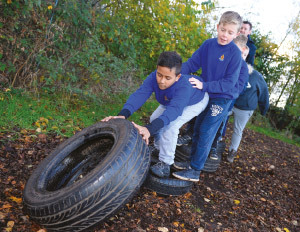 We are pleased to announce that we are looking to hold another Juniors Adventure Sleepover again in 2018. We are currently in negotiations with Kingswood. We are also looking at hosting a regional day event for the Anchors section. More details on both events will be released in the next e-update.